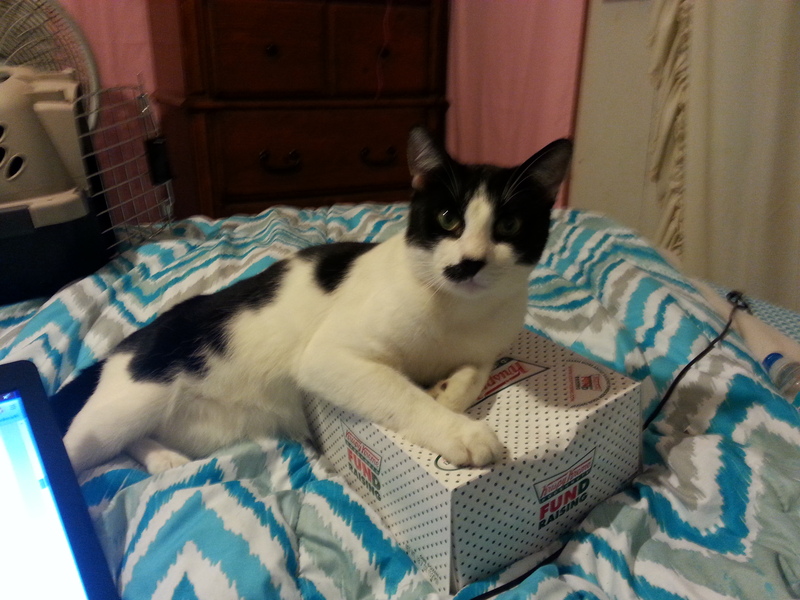 These are my doughnuts. There are many like them, but these are mine. So, those of you who know me, or read my about.me page know that I love the kitties. Kitties are the best. This kitty is Loki. In a few hours Loki will be neutered! 😀 Go Loki! Obviously at this point he has no idea what is to come, he just knows that I’m not feeding him and he is angry. 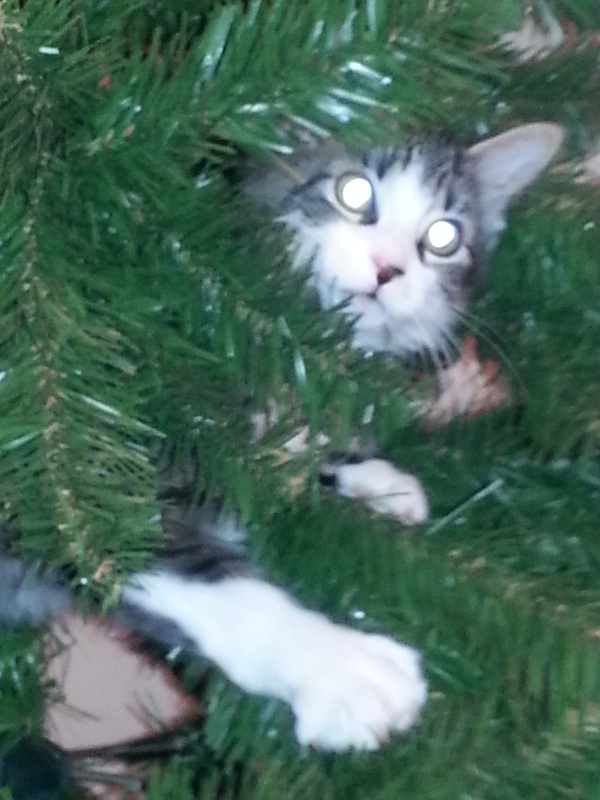 Oh Christmas tree, Oh Christmas tree, your ornaments are history. This is not my kitty, but it is a kitty, and that’s almost the same thing. This is Merlin, who belongs to the cousin. He’s also getting neutered in a few hours! Stare into his eyes, they compel you to get your cat spayed or neutered. Getting your pet spayed (for the ladies) or neutered (for the boys) not only means there won’t be babies, but it’s also healthier for your furbabies. They’re less likely to spray (mark their territory with urine), are less likely to wander, and are less likely to have reproduction related health issues. It’s a win-win for your pet. And don’t go and use money as an excuse. Call around, many humane society sponsored shelters or other organizations offer discounts on spay and neutering if you are unable to make the full payment. Most times your pet will also get their rabies shot at the same time. This has been a public service announcement. Sponsored by me. Paid for by nobody. Brought to you by the letters N and S. God bless.